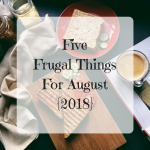 With September on the horizon and back to school just in sight it’s time to start getting organised. Whether your kids are just starting primary school, heading to high school or going to college they will all need feeding. When it comes to packed lunches I like to mix it up a little. As much as the kids love a good old-fashioned sandwich I sometimes want to send them with something a little more filling. Spearmark recently sent me some of their new Locksy Ultraclip products along with a mini backpack style lunch bag to review. I think they are the perfect back to school packed lunch essentials and will help me make packed lunches a little more fun and interesting. This is perfect for salads for lunch with individual compartments to keep ingredients separate. I love that there’s a little pot to keep your dressing or sauce in too, nothing worse than a soggy salad for lunch. 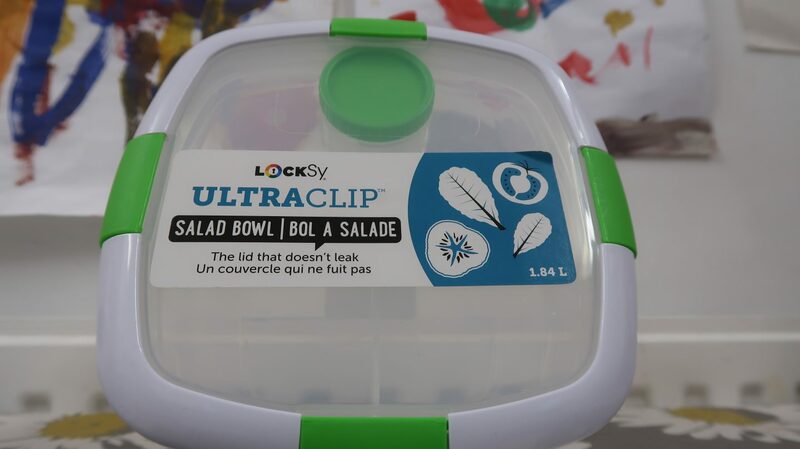 The salad bowl features the ultra clip locking system which not only keeps the food fresh but also stops anything from leaking. 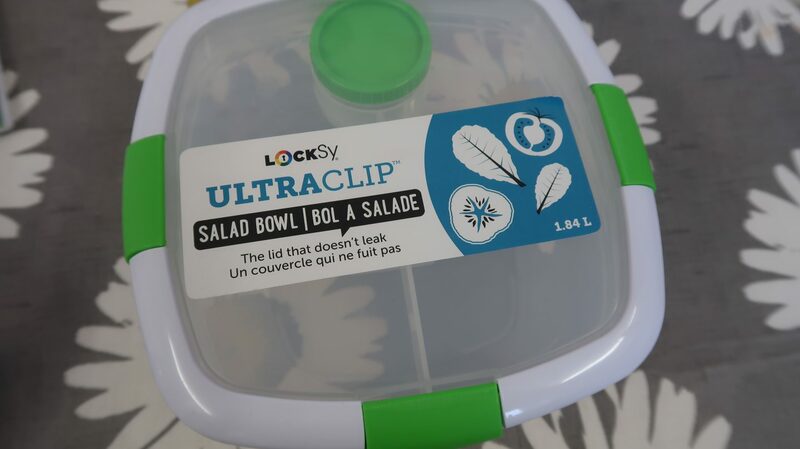 I really like how compact the salad bowl is, in the past if the kids wanted a salad they have ended up having to take several different containers. 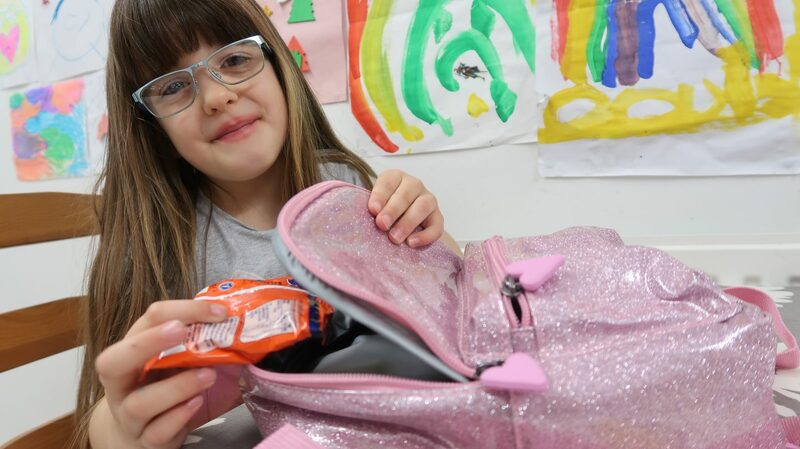 It fits perfectly into school bags and there’s no worrying about spills and leaks which is great. 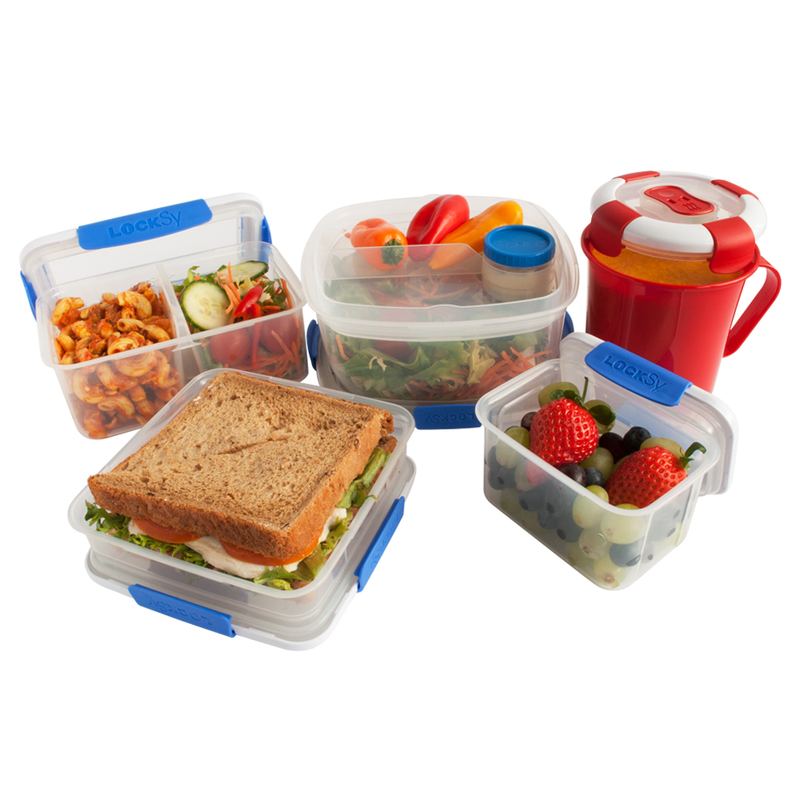 I think these snack tubs are ideal for putting things like pasta and salad in for lunch. There are two separate compartments so you could even put pasta in one side and fruit for afters in the other side. 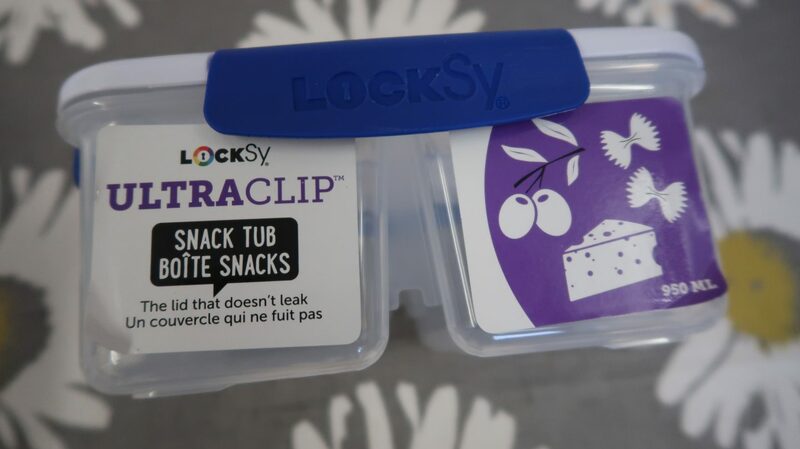 There are lots of other products available in the Locksy range which are ideal for school or work packed lunches. There’s a multitude of sizes and design choices available and all are lightweight too. They are microwaveable, freezer proof and dishwasher safe and made from environmentally friendly materials. 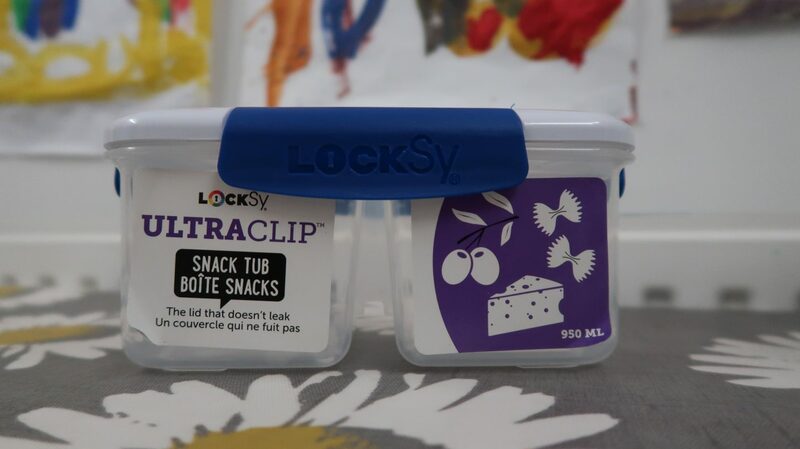 Locksy food storage containers start from £1.50 and are available in store at Morrison’s, Dunelm and Iceland. 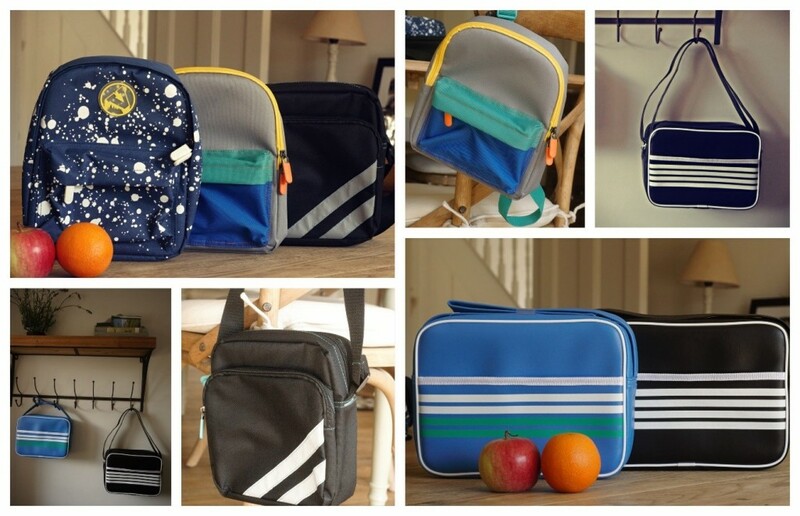 The new range of lunch bags from Spearmark include satchel and mini backpack designs. 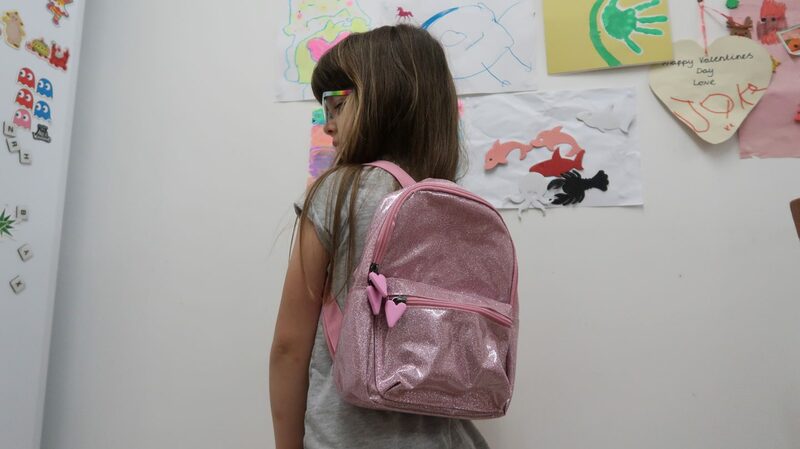 We were sent the Pink Glitter mini backpack much to Daisy’s delight. She especially liked the heart-shaped zip charms. All of the lunch bags are made from wipe-clean material and have great design features like long handles, adjustable straps and name tags. The inside of the bags are also insulated which helps to keep sandwiches, fruit and snacks fresh until lunch time. 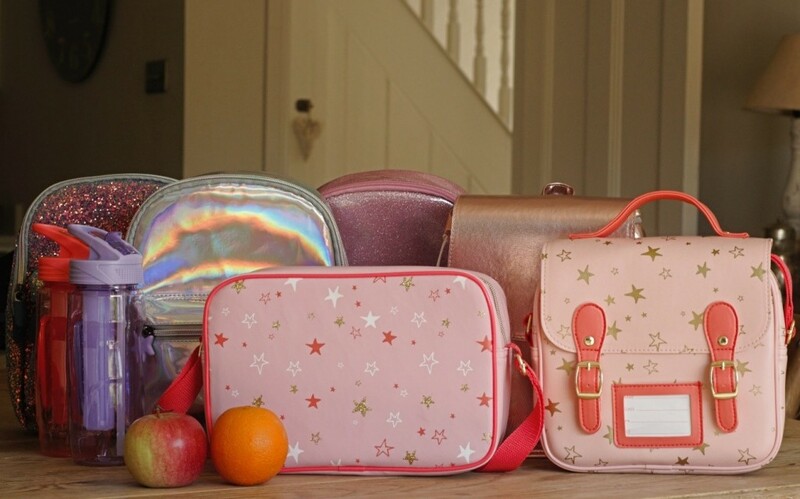 Spearmark Satchel and Backpack lunch bags cost £10 and are available in store or online from Sainsbury’s. 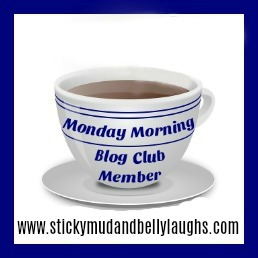 Disclosure: We were sent the Spearmark products free for the purpose of this review. All opinions are my own.